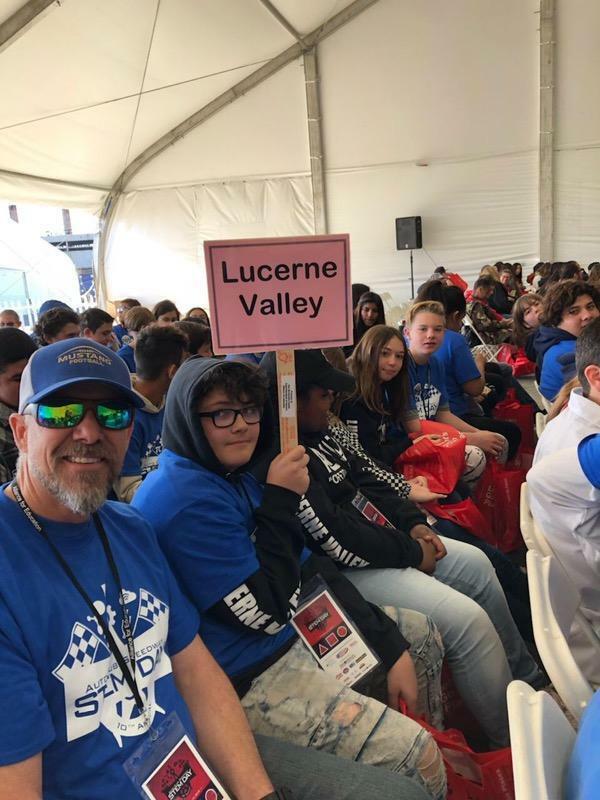 A contingent of Lucerne Valley Middle School 8th-graders attended the 10th annual Auto Club Speedway’s STEM Day on March 15. 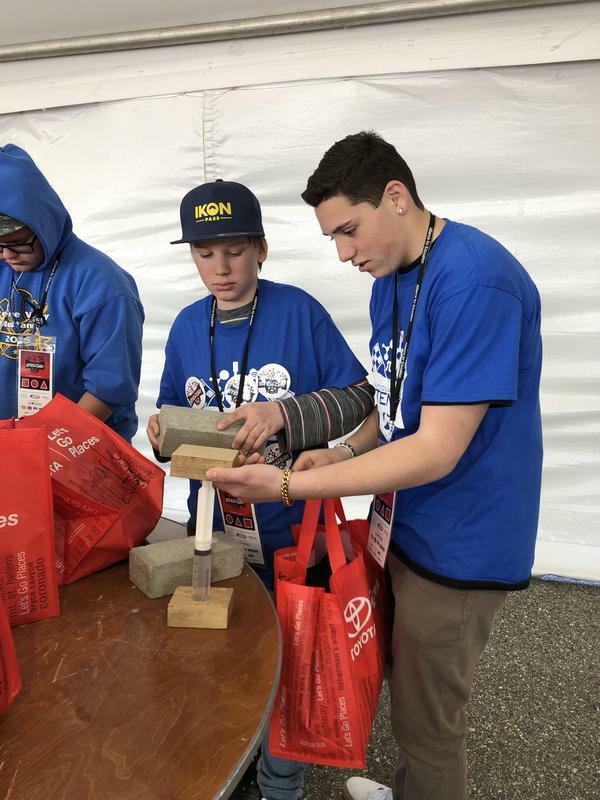 The group was among 12 San Bernardino County middle schools to participate in the event, which was part of the Auto Club 400 Weekend. The big race on Sunday was won by Kyle Busch. 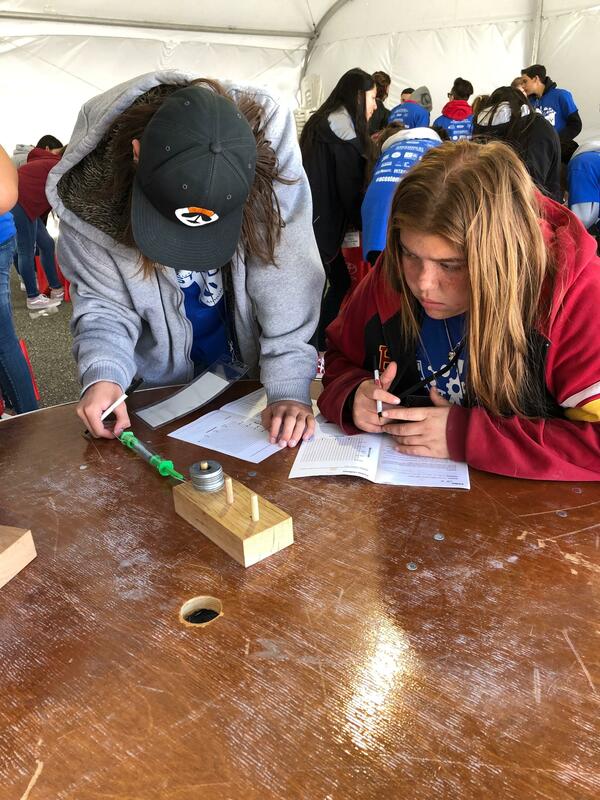 The students had an opportunity to do hands-on engineering and math exercises with student volunteers from local colleges and universities, as well as interact with exhibitors. Science, Technology, Engineering, and Mathematics, known as STEM, are foundations of the motorsports industry. Students were introduced to several speakers, including NASCAR Xfinity Series drivers. 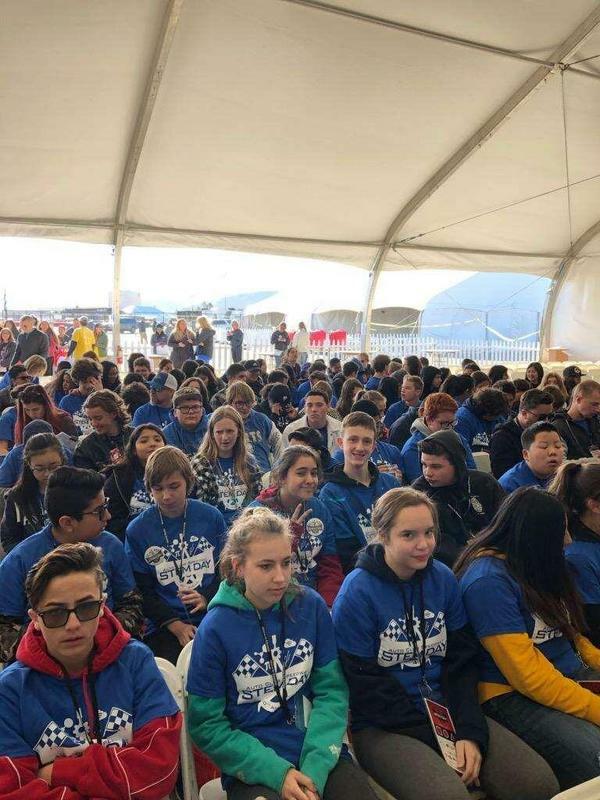 Students from other districts included Barstow Junior High, Mariana Elementary and Vanguard Prep from Apple Valley USD and Quail Valley Middle from Snowline. Additional schools included Almeria Middle from Fontana, Day Creek and Etiwanda Intermedia from Etiwanda, Foothill Knolls Academy of Innovation fro Upland, Terrance Hills Midle from Colton, Vineyard STEM Magnet from Ontario-Montclair and Yermo Elementary from Silver Valley Unified. 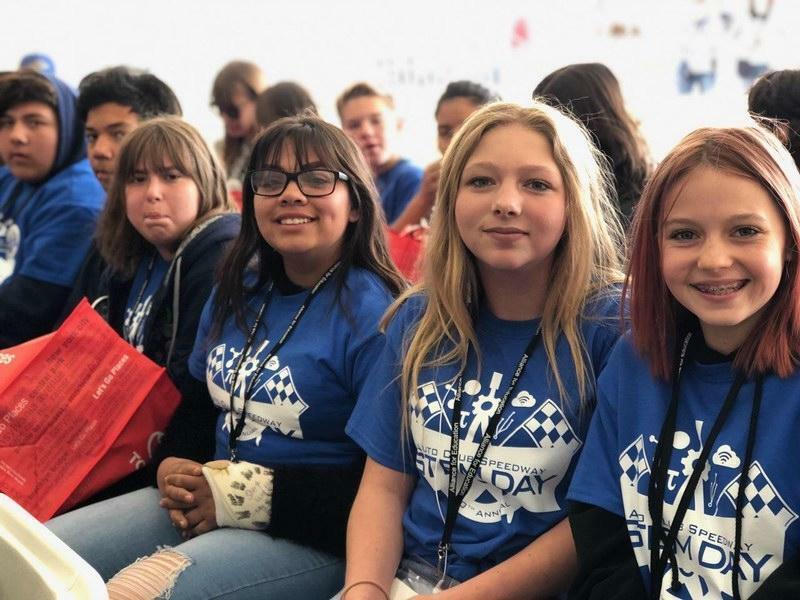 As part of its sponsorship, King Taco will be rewarding students with a pair of reserved grandstand tickets to the Auto Club 400 race that will take place on March 17. Jersey Mike’s Subs will sponsor lunch by providing its signature subs. STEM Day is made possible with funding from its major sponsor, San Manuel Band of Mission Indians. Additional sponsors include Toyota, including John Elway’s Crown Toyota, Toyota Motor Sales and Toyota Financial Services; King Taco; Goodyear; Jersey Mike’s Subs; and the Inland Empire United Way. 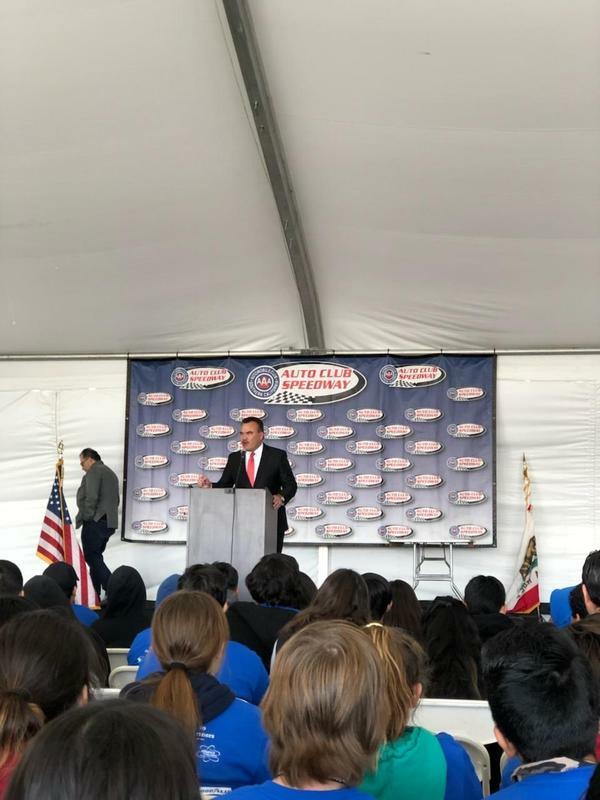 Educational partners teaming up with Auto Club Speedway include San Bernardino County Superintendent of Schools’ Alliance for Education, Chaffey College and the MESA Program at University of California, Riverside. The San Bernardino County Superintendent of Schools serves as an intermediate service agency between the California Department of Education and the 33 K-12 school districts in the county. The office works in collaboration with school districts, other agencies, families and the community at-large to ensure success for the 403,000 K-12 students in San Bernardino County.